One of the primary reasons for visiting Coronado is to experience our world-class beach. In 2012, Dr. Stephen Leatherman, Director of the Laboratory for Coastal Research, ranked Coronado Beach as the best beach in the United States. The Travel Channel also considers it one of America’s finest beaches. What makes it so special? Some say it is the soft and clean sand. Others rave about the calm waves that make swimming, boogie boarding, and body surfing so much fun. But just about everyone loves the fact that the beach is never crowded, even during the height of the summer vacation season. Coronado's Central Beach, which is the closest beach from the Hotel Marisol, hosts the main lifeguard tower, six beach volleyball courts, restrooms and showers. North Beach also features restrooms and showers as well as eight public fire rings. The entire mile long beach is patrolled by lifeguards via automobiles or from lifeguard towers. The Hotel Marisol offers loaner beach chairs and towels. If you wish to buy or rent boogie boards, you need to get them before heading to the beach. There are numerous shops within two blocks of the hotel that sell beach equipment. If you are interested in surf lessons, contact Coronado Surfing Academy. They can provide the boards as well as wetsuits if the water is cool. The best time of the year to surf in Coronado is the summer. For current surf conditions, check with Surf-Forecast.com. For more information about beach activities see our Coronado Beach Water Sports page. 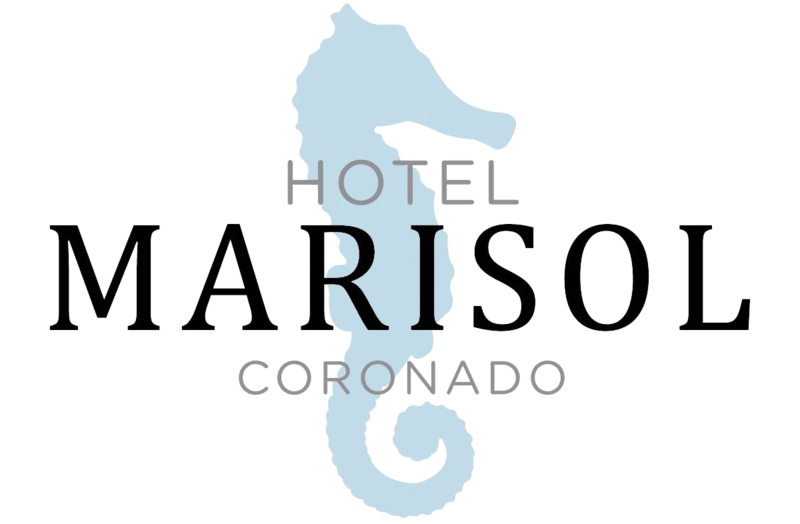 Whatever your plans for enjoying Coronado Beach, stay at the Hotel Marisol and enjoy easy access to the best beach in the nation!